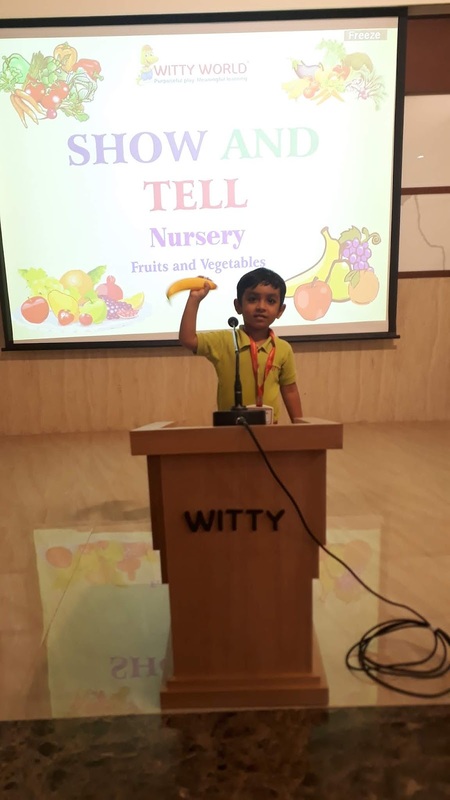 Fruit in a day is the healthy way! 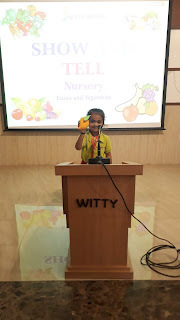 Fruits and vegetables, the best edibles. 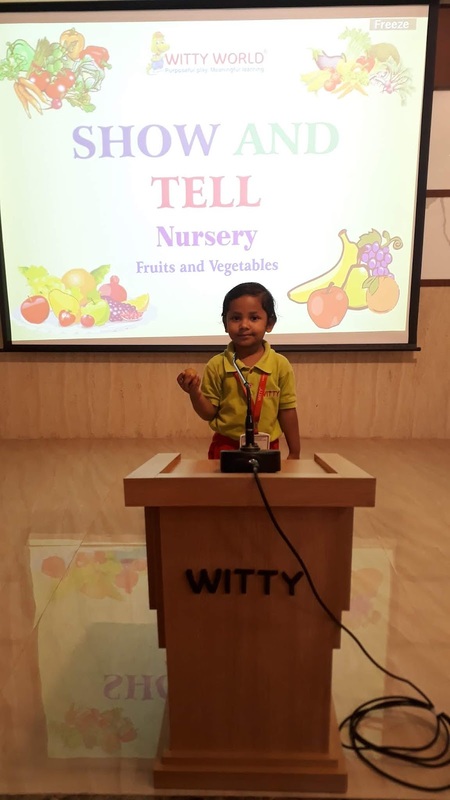 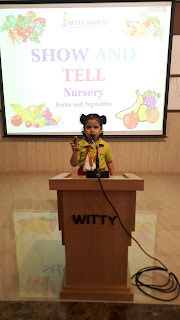 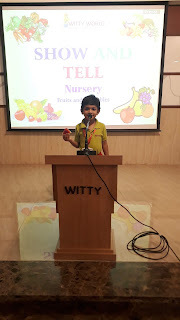 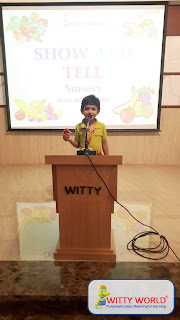 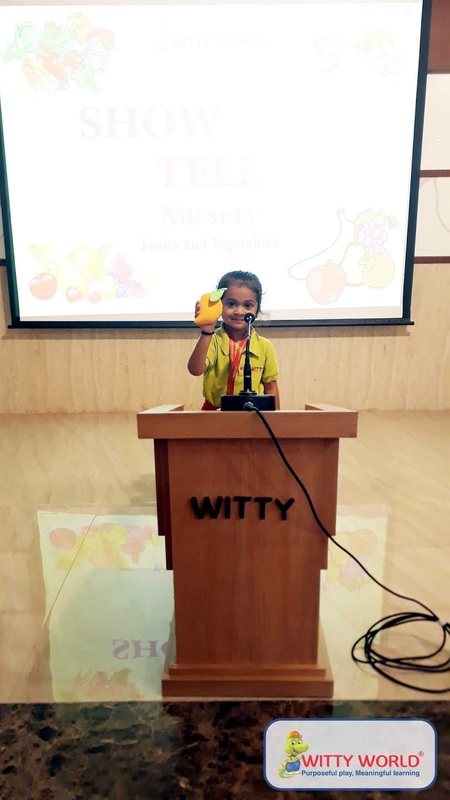 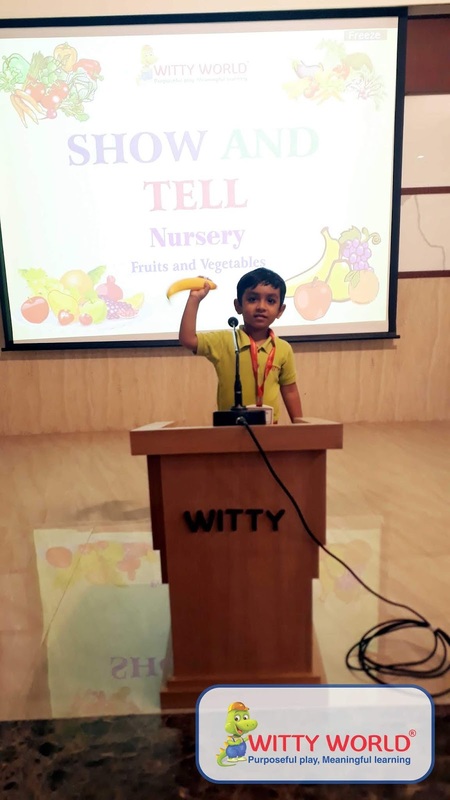 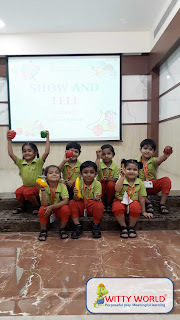 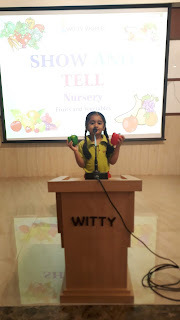 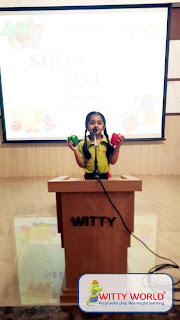 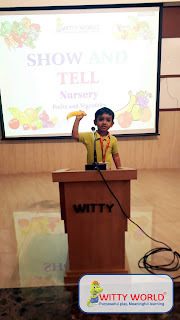 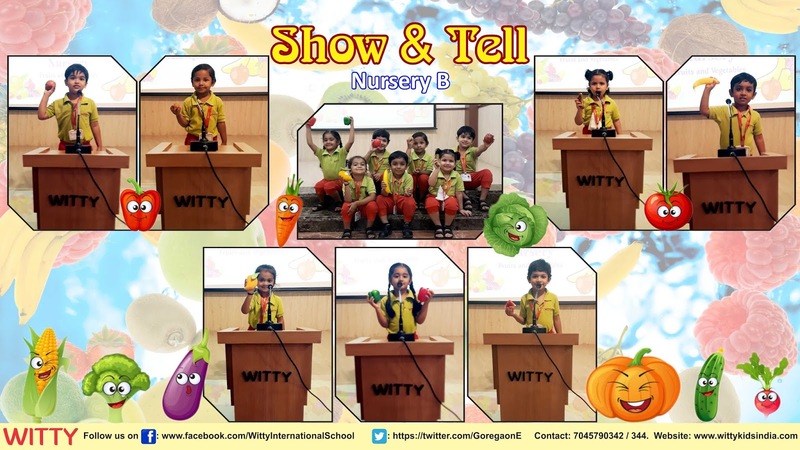 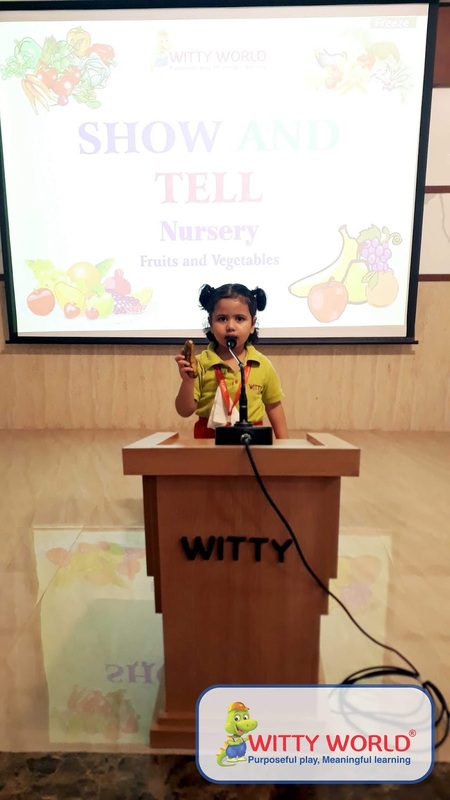 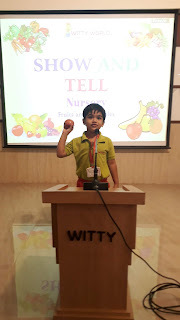 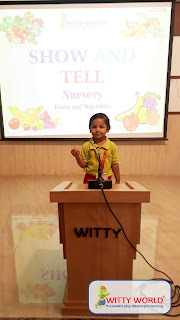 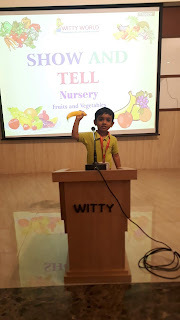 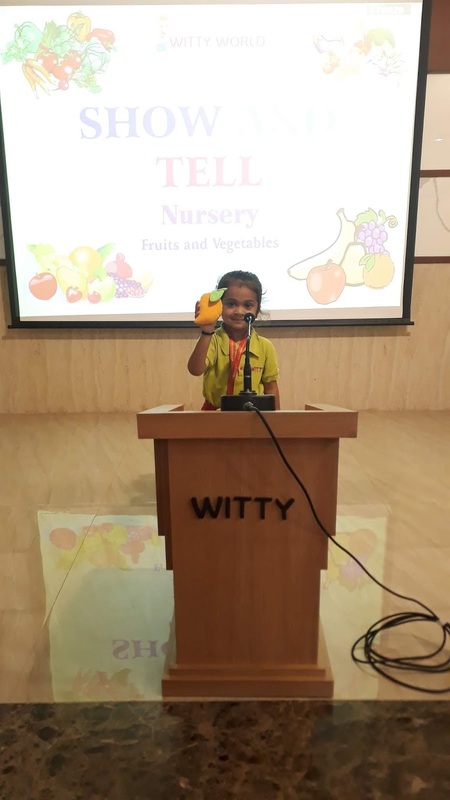 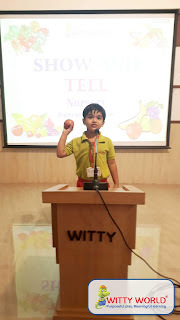 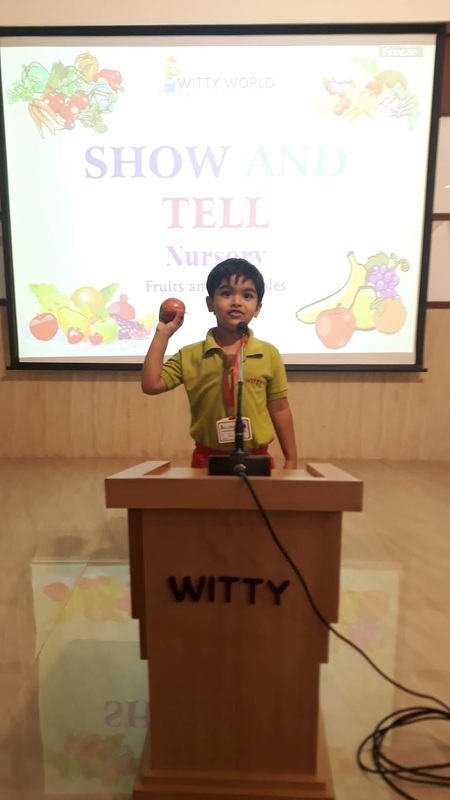 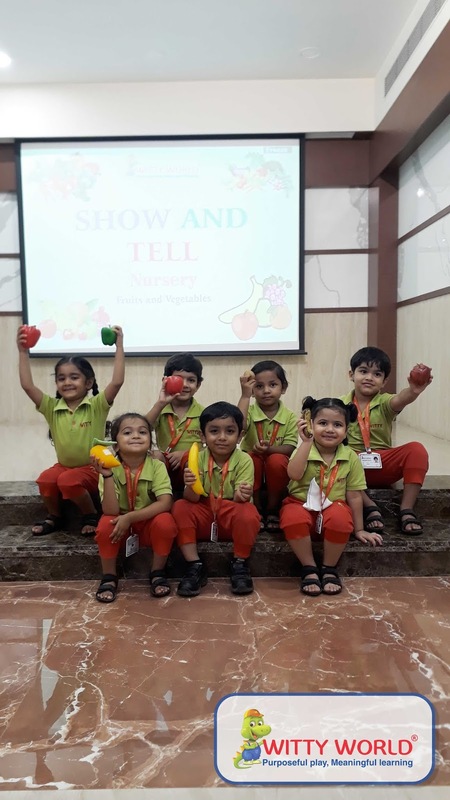 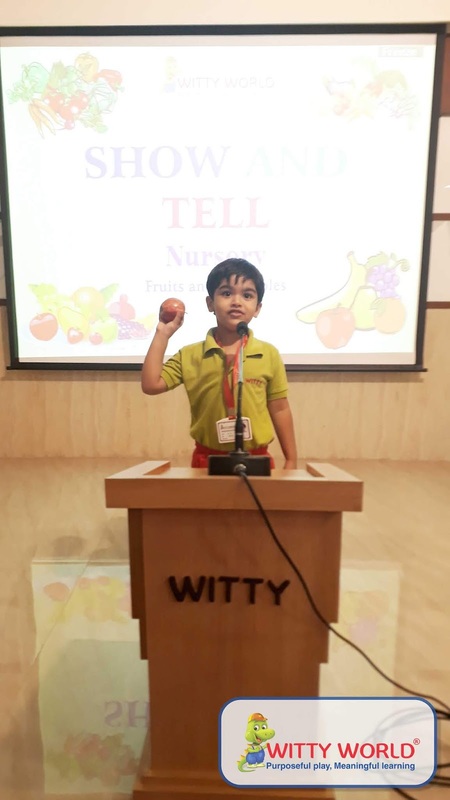 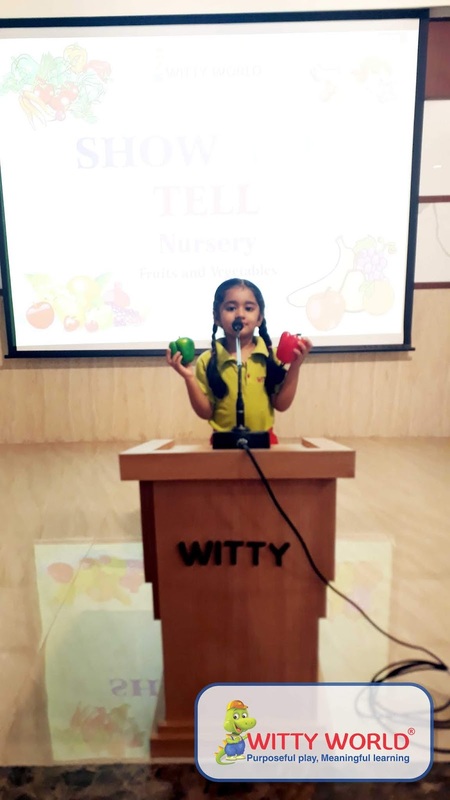 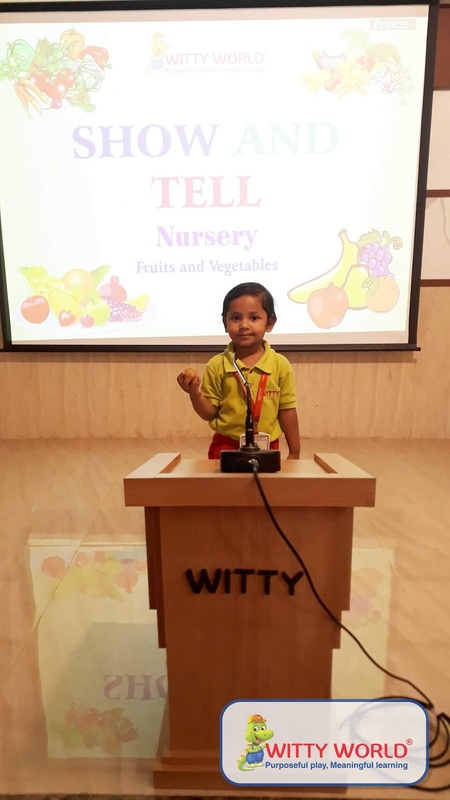 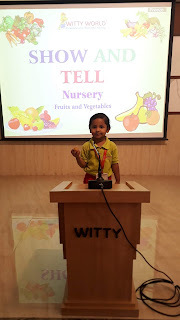 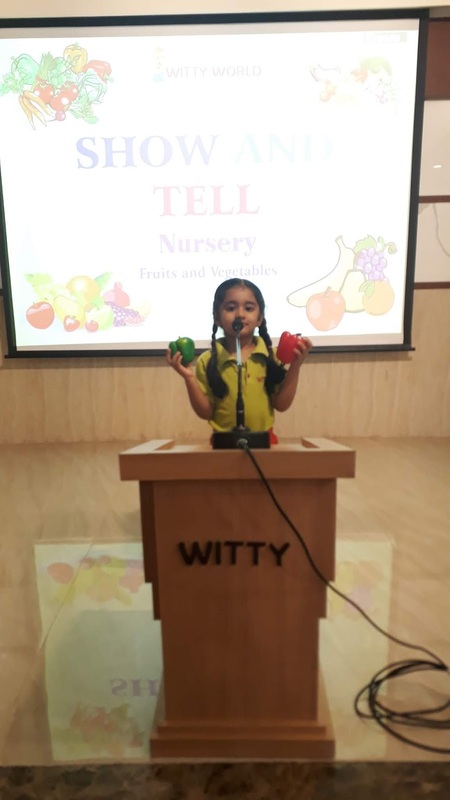 As an extension of the theme of the month, children of the Nursery section of Witty World Goregaon East enjoyed a show and tell activity, held on Tuesday, 9th April 2019. 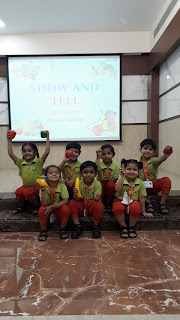 Each child brought their favourite FRUIT AND VEGETABLE along, and spoke a few lines about it. 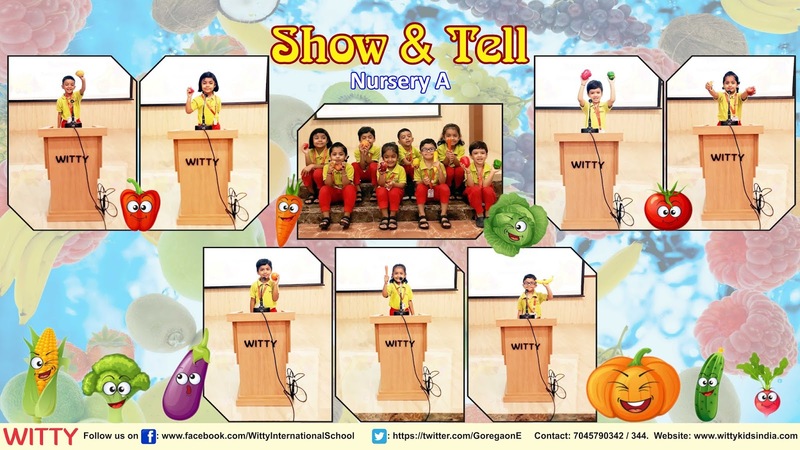 The auditorium witnessed many well prepared lines and poems that were beautifully recited. 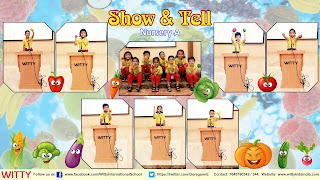 Meanwhile, the other children cheered and applauded for their classmates, motivating each other to give their best. 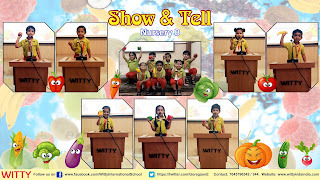 The show and tell activity was also great for building confidence and eliminating stage fear.